Members of "A Raisin in the Sun" ensemble. Photo by Ed Krieger. The Los Angeles Drama Critics Circle’s 43rd Annual Awards Show, took place last Monday, March 19, 2012 at A Noise Within’s glamorous new theater in Pasadena. 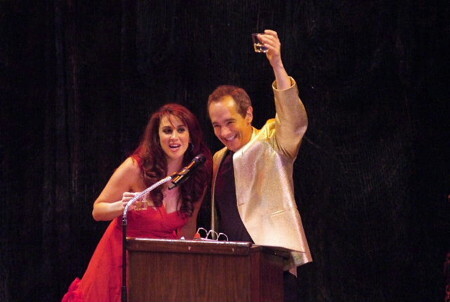 The fun-filled show featured lively banter and comedic performances from previously-announced hosts Jason Graae (recipient of the 2007 Joel Hirschhorn Award for outstanding achievement in musical theater) and Lesli Margherita (nominee for Kiss Me, Kate). In addition to handing out the numerous prizes for excellence in theater, the Awards event featured the Los Angeles premiere performance of My Husband, by Paul Rudnick, a short play added to the New York production of Standing on Ceremony: The Gay Marriage Plays. The play was performed by Wendie Malick (Hot in Cleveland) and Christopher Gorham (Covert Affairs). Yvette Tucker and Salvatore Vasallo. Photo by Ed Krieger. 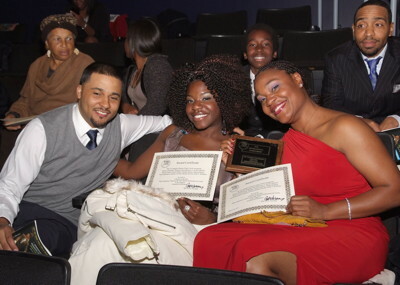 The Los Angeles Drama Critics Circle (LADCC) annually gives awards for excellence in theater. All photos by Ed Krieger. "Small Engine Repair" troupe. Photo by Ed Krieger. The Ted Schmitt Award for the world premiere of an outstanding new play was awarded to David Wiener for Extraordinary Chambers. The award was accompanied by an offer to publish by Samuel French, Inc. The Polly Warfield Award for an excellent season in a small to mid-size theater was awarded to Rogue Machine. The award was accompanied by an honorarium, funded by the Nederlander Organization. The Bob Z award for career achievement in set design was awarded to Kurt Boetcher. The Angstrom Award for career achievement in lighting design was awarded to Lap Chi Chu. The award was accompanied by an honorarium, funded by Angstrom Lighting. 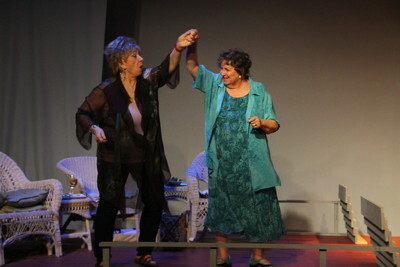 The Margaret Harford Award for sustained excellence in theater was awarded to the Odyssey Theatre. 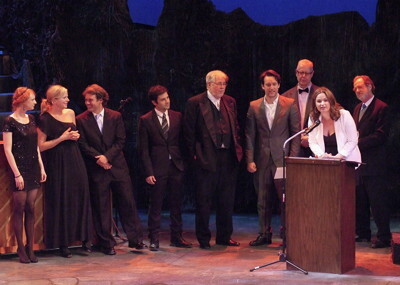 The award was accompanied by an honorarium, funded by contributions from the theatrical community. The Joel Hirschhorn Award for outstanding achievement in musical theatre was awarded to Lee Martino. The award was accompanied by an honorarium, funded by an anonymous donor. The Milton Katselas Award for career or special achievement in direction was awarded to Matt Shakman. The award was accompanied by an honorarium, funded by The Katselas Theatre Company. LADCC Awards co-producer David C. Nichols. Photo by Ed Krieger. The Los Angeles Drama Critics Circle was founded in 1969. It is dedicated to excellence in theatrical criticism, and to the encouragement and improvement of theater in Greater Los Angeles. F. Kathleen Foley (L.A. Times), Shirle Gottlieb (Gazette Newspapers, StageHappenings.com), Hoyt Hilsman (Back Stage, The Huffington Post), Mayank Keshaviah (L.A. Weekly), Amy Lyons (Back Stage, L.A. Weekly, www.nohoartsdistrict.com), Dany Margolies (Back Stage), Terry Morgan (Variety, LAist.com/), Steven Leigh Morris (L.A. Weekly), David C. Nichols (L.A. Times, Back Stage), Sharon Perlmutter (TalkinBroadway.com), Melinda Schupmann (Back Stage, ShowMag.com), Madeleine Shaner (Park La Brea News/Beverly Press, Back Stage), Les Spindle (Back Stage), Bob Verini (Variety) and Neal Weaver (Back Stage, L.A. Weekly). Joining for 2012 is Pauline Adamek (L.A. Weekly, ArtsBeatLA.com/). For more information, visit the LADCC’s website, here. The LADCC is grateful to A Noise Within for the donation of the use of their theater, and to the entities and individuals who agreed to sponsor some of their special awards this year. 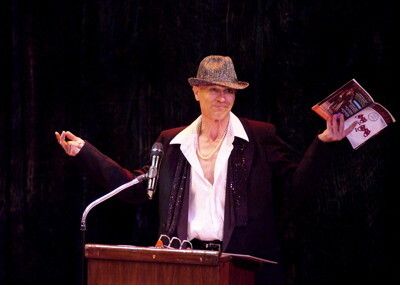 Go here to read the full list of nominees for the 2011 Los Angeles Drama Critics Circle Awards for theatrical excellence. A Noise Within (ANW), led by Founders/Artistic Directors Geoff Elliott and Julia Rodriguez-Elliott, is the only year-round classical repertory company in Southern California.